Everything we do at St. Christopher's is driven by one central mission, to educate the “whole boy” so that he can lead in a dynamic, interconnected world. That means teaching our students to be better creative thinkers and problem solvers, to take risks, to innovate and to engage productively with each other and with the world at large. We have made great strides in this mission, from enhancing our curriculum and leadership programs in all divisions, to building and endowing the work of the Luck Leadership Center, to helping boys reach their potential and sharing our findings with educators around the world through The Center for the Study of Boys.With these accomplishments behind us, we look to the next phase of our strategic plan. 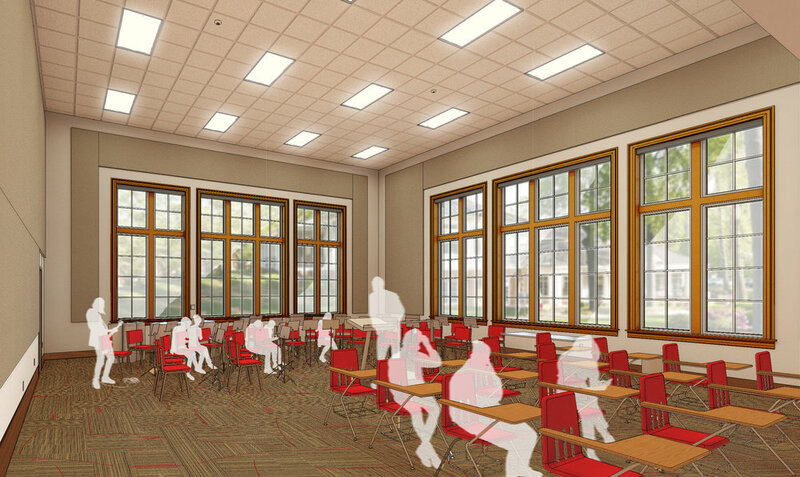 We are thrilled to share plans for the construction of a 450-seat facility that will enhance arts instruction and serve a variety of purposes. Designed to complement the historic look and feel of our campus, this innovative facility will relieve some of the overcrowding of existing classrooms, freeing those rooms for programs such as BUILD, our boy-centered STEAM offering. We have worked closely with St. Catherine’s to ensure our facilities are well coordinated. Income from our endowment already provides a significant source of revenue to support the School’s entire program, supplementing tuition and philanthropic revenue, strengthening the educational program, increasing financial aid, supporting faculty professional development, and providing new courses and underwriting aspects of our all-boy program. Student prizes recognize outstanding student achievement, and endowed chairs, masterships and teaching endowments recognize and reward teaching excellence. The second phase of Orchestrating Leadership is aimed at adding $10,000,000 to the endowment, increasing the revenue for faculty development, program support, annual giving and more. Historically, generous gifts to the endowment have been used to create new courses, provide leadership opportunities for faculty and students and support financial aid. Never has our need been greater.